It’s Movember y’all, and there are ‘staches everywhere the eye can see. I can’t get enough of it and to me it’s better than Christmas, Easter and Thanksgiving combined. The only problem is not everyone keeps their ‘stache afterwards but I can hope some do keep their ‘stache. 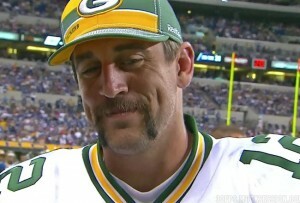 But as a mustache expert I question the act of growing a ‘stache from the clean-shaven state. A ‘stache will work out better if you shave from a full beard to a ‘stache. If you grow it out from scratch you’ll inevitably get an awkward growth phase that doesn’t look so hot. Other miscellany: GWAR guitarist Cory Smoot (Flattus Maximus) passed away last week. Very sad news. I saw GWAR the first time about 15 years ago in Portland, Oregon and have seen them many times since. I believe Flattus himself spewed unholy fluids on me at one concert where I was in the greasy mosh pit so long my contact lenses were dyed red. It took several showers to get the food coloring out of my skin. Don’t freak out this Wednesday, November 9 at 2pm EST where FEMA and the FCC will take over your television for a short time to exercise a nationwide test of the Emergency Alert System. I’m expecting the paranoid Teabaggers and anti-Obama people to freak out about this. But they’d also freak out if we didn’t do this too, so you can never placate those types. Anyway it’s just an exercise, a test to see if a nationwide notification system works so don’t freak out when Real Housewives is interrupted. Here’s an interesting article from DC’s Washington Blade that brings up some good discussion about the “It Gets Better” YouTube anti-bullying campaign – has it jumped the shark? I don’t feel comfortable that towards the end of the trend that some organizations somehow felt they had to post a video because everyone else had posted one too. I’d rather watch a sincere first-person testimony instead of a fake, scripted, and ultimately insincere speech. What if the person on the video has no frikkin’ idea about how it gets better? The audience can detect a genuine sentiment over something an individual or organization felt obliged to perform. Read the article and the comments for more views on this topic. Depending on the weather, me and some friends may go beach camping at Assateague Island National Seashore this Veteran’s Day weekend. It is where the feral Chincoteague ponies roam, and the locale that inspired the favorite little girl’s book Misty of Chincoteague. I’ve camped there before and it’s very scenic, but let me tell ya those coastal mosquitoes are the worst I’ve ever encountered. They’re vicious and persistent blood-sucking monsters so we’ll be sure to bring the bug spray. I’ve been to Alaska, the Boundary Waters, and the Great Dismal Swamp and I must say the DelMarVa mosquitoes are the worst. This entry was posted by jimbo on November 7, 2011 at 5:41 pm under gay, geek, outdoors, politics, sports, The DC, woof. Both comments and pings are currently closed. The ad with moustached DQ man blowing bubbles with kittens inside them is the bestest. I love the DQ guy! I’m growing my full beard for the winter. I thought the “It Gets Better” campaign jumped the shark awhile ago. I tried to point that out in a video post, but MAN did I catch hell for that. So don’t bad mouth it, or you are a BADGAY! I have always felt that most of those videos were to “Pollyanna” regarding life after high school and set an unrealistic ideal regarding the real world.